My House In Africa: Exciting times! 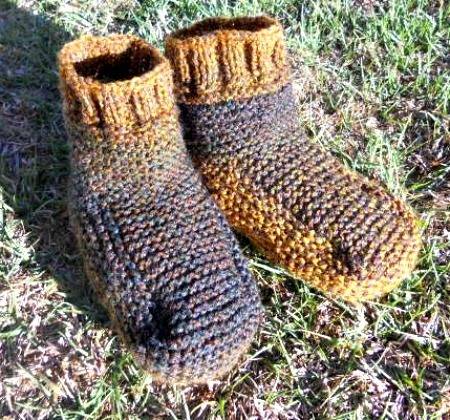 They are slipper socks and called Robinfoot. It's a very easy pattern so have a go!!! 1. Break the bread into a large mixing bowl. 2. Microwave butter until melted and add to the milk. Pour over bread. 3. Chop onion and bacon and fry until cooked (but not crispy). 4. Add onion/bacon mixture to bread mix. 5. Add other ingredients (see * above). 8. Mix well and place in a large greased flan/quiche dish. 9. Bake for 40-50 mins at 180. I've already worn it twice and I love it! 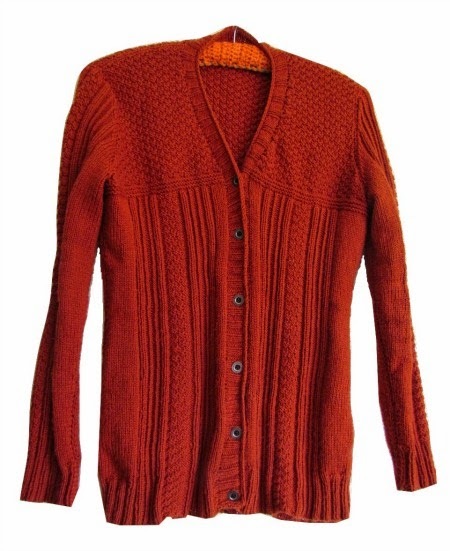 The colour is burnt orange and I added jean buttons which really work well! The pattern is Drift and I have to say, it was a pleasure to knit. I used basic acrylic double knitting so wasn't too expensive to make and I'm certain it's going to become one of those 'old favourites' in my wardrobe! Currently on the needles is Blue Sand which I thought would be really difficult (having quickly scanned the pattern when I purchased it) but in fact is very well written and easy to follow. I'm knitting it in a lime green (all one colour) but have already decided to do the 3 colour version next (probably grey, white and blue). So that's me for now. What have you been up to? I like the slippers !! 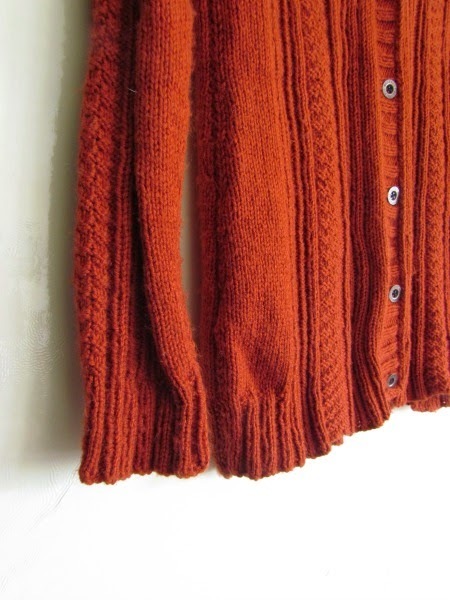 A your cardigan .... a great work ! Happy to visit your blog ! Good luck and have a lovely day !